If you can use store-bought phyllo, why would you want to make your own? 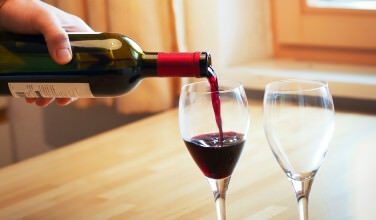 Simply put, it just tastes better! Once you get the technique down, making your own phyllo will help your food taste extra fresh and delicious. Besides, if you want to keep the dough as traditional as possible, you’ll want to use olive oil. 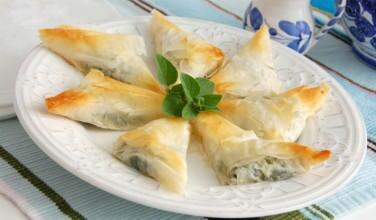 Store-bought phyllo is most commonly made with butter or vegetable oil, and not olive oil. 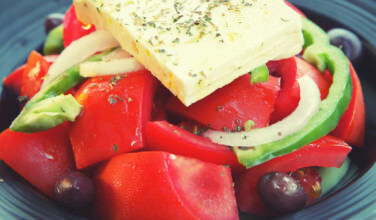 The ingredients for phyllo are pretty simple. All you need is flour, salt, water, and olive oil or butter. 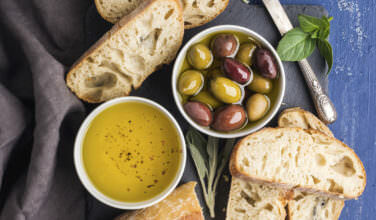 Even though olive oil is the traditional ingredient, many people seem to prefer to use butter. 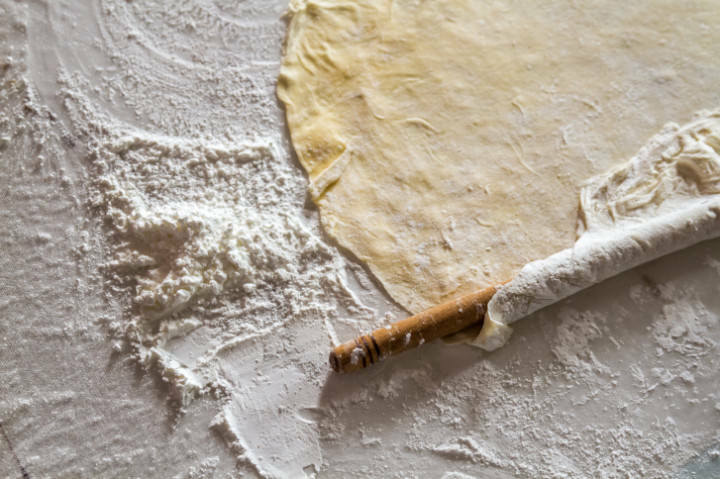 The basic proportions are to use 2 cups of all-purpose flour, 1/2 teaspoon of salt, 2/3 cups warm water, and 1/8 cup of olive oil (or 2 tablespoons of butter) for 6 sheets of phyllo. When making phyllo, it’s much easier if you actually have a food processor. If you don’t, you’ll need to mix everything by hand. To mix it by hand, simply add the flour to a mixing bowl. Form a small well in the center of the flour and add the rest of the ingredients. Combine them well with a fork until the mixture represents coarse crumbs. Create 6 evenly shaped balls with your hands. Be careful not to overwork the dough. Only mix it as much as you need. Mix it any more than that, and the phyllo won’t have the right texture. You have two choices as to how to roll out your phyllo. If yo have a pasta machine, you can pass it through the roller section several times until the desired consistency is achieved. Otherwise, you’ll have to roll it out by hand using a large rolling pan or a large broom handle until the desired thickness is achieved. For best results, you really should use the phyllo dough right away. However, you can actually store it for about a week in the refrigerator or even longer in the freezer. This isn’t the optimal way to use it, though. It seems to taste best when you use it right when you make it. 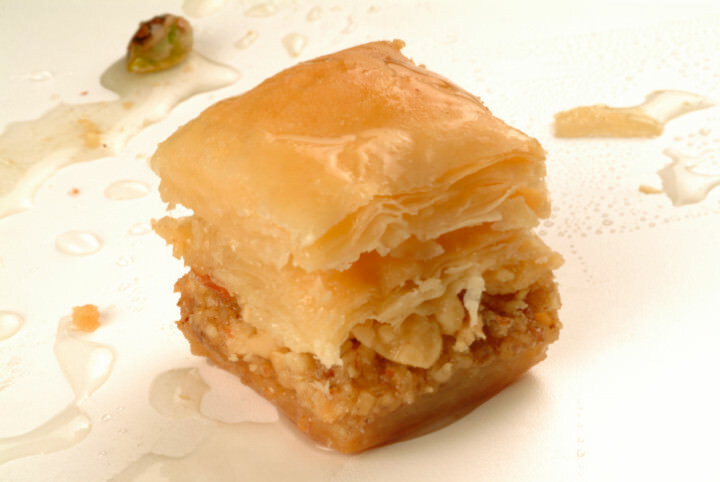 Otherwise, the phyllo could dry out or begin to taste stale.